It’s my turn to play host to Travel Photography Roulette! 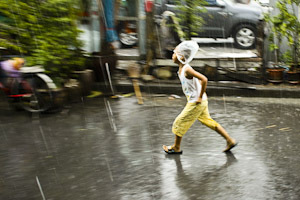 My photo of a young boy running through the rain won last week’s contest over at Travel with a Mate so I have the honor of hosting this week’s contest and choosing a theme. And the theme is: Water. Jeremy at Living the Dream came up with the idea and got the ball rolling. Eight weeks and hundreds of amazing photos later, it’s still going strong. This week’s theme is water — whether it’s a beach scene, waterfall or kids playing with a garden hose, if there’s water involved it qualifies. Simply post your link in the comments below, include a sentence or two for a caption and I’ll add it to the page. When the week is up, I’ll announce a winner and they will choose next week’s theme. The contest will run from January 26th — February 3rd, so don’t delay! Readers can attempt to sway the author into picking a certain photo via comments but the author can ignore comments as they see fit. The game is repeated with the winner hosting the following week’s game and choosing a phrase for new photo submissions. The following is a list of the previously played rounds of the game and the hosting blogger for each. This list also doubles as a winner’s table as each topic host won the preceding round! Click the host’s link to go directly to that entry to see some stunning photographs from the chosen term/phrase! 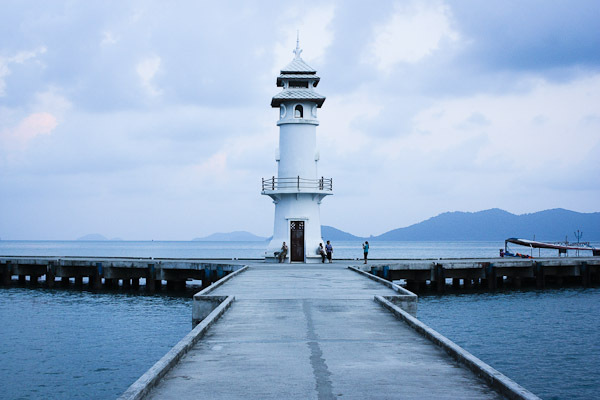 Lighthouse on Koh Chang Island, Thailand at dusk. The contest rules stress “No Photoshopping”, but consider that waved for this round. Post-processing is an integral part of photography in my mind, so long as it’s done with a light touch. So, dig through your hard drive, sort through your best shots and show us what you’ve got! This was the best shot I got while off the North Shore of O’ahu on the “Hawaii Shark Encounters” tour. We spent 30 minutes in a cage surround by lots of sharks. Out of my way — 2 surfers almost hit each other at Dreamland, Bali. In the next scene, they successfully avoid each other. 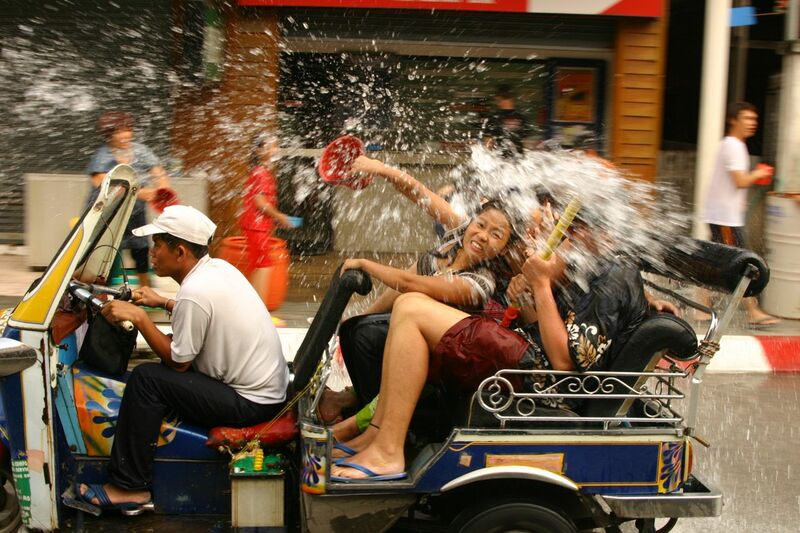 The Fast and the Furious — boat racing season in Tha Phra, Laos. I promise – this was not photoshopped…it was taken with a flash at dusk. We were staying across the estuary from Cadiz in the lovely Puerto de Sta. Maria, one of Spain’s main sherry producing centres. As is so often the case, a dawn patrol produced this epitome of tranquility. The turtle was so hungry for its lunch that it had no regard that I was snorkeling right in front of it, which resulted in this photo from Barbados. This shot is from a recent trip through the backwaters of India’s Konkan Coast. As we sped through the backwaters, I noticed the water splashing caused by the boat. 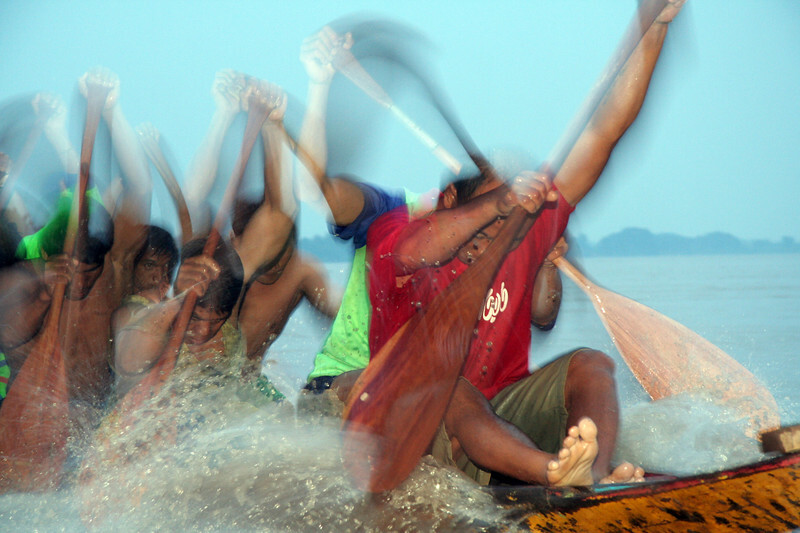 Fishermen in Java with their catch. Our first entry! 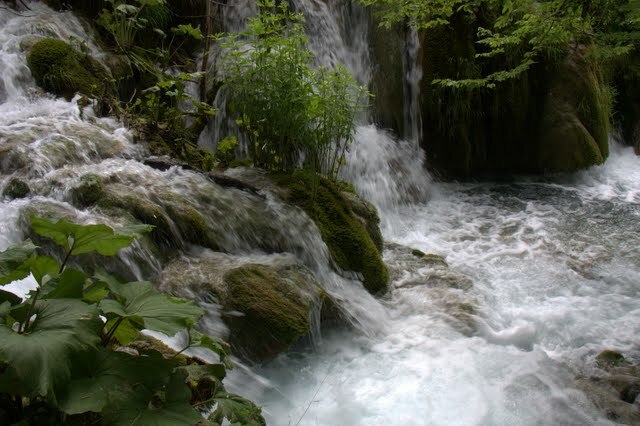 There are few better places in the world to see waterfalls than Plitvice National Park, Croatia – a UNESCO world heritage site with waterfalls interconnecting 16 turquoise lakes. 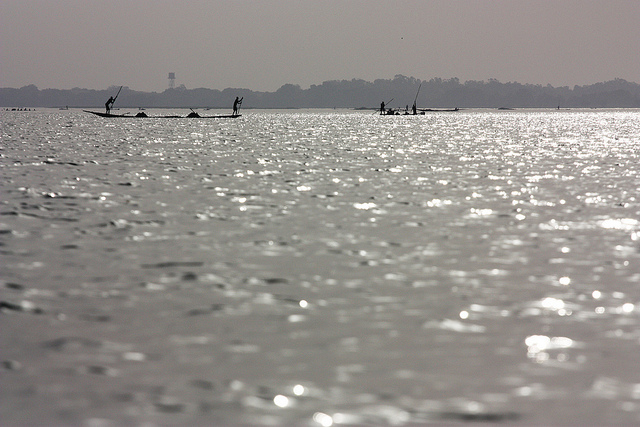 Fishermen on their boats in the Niger river, Segou, Mali. 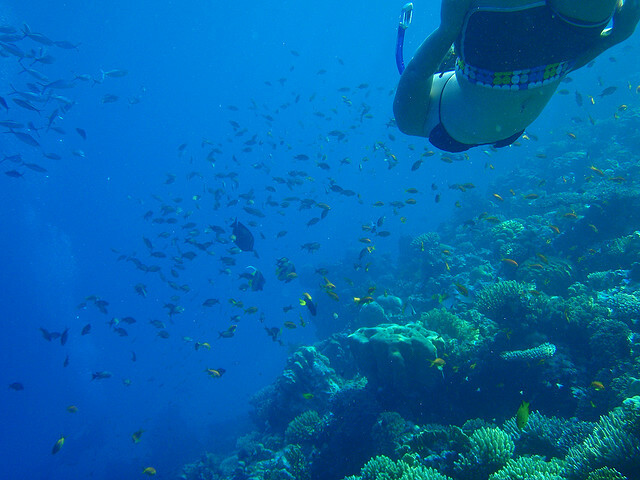 Snorkeling in the Red Sea – Dahab, Egypt. A beautiful stepped waterfall in a rain forest clearing. Erawan waterfalls in Thailand. This photo was taken at Laurel Falls, a waterfall that you can hike to in the Great Smoky Mountains (TN). While we were there a rainbow emerged, so we got this picture of the rainbow with the spray of the falls coming down on the rocks. 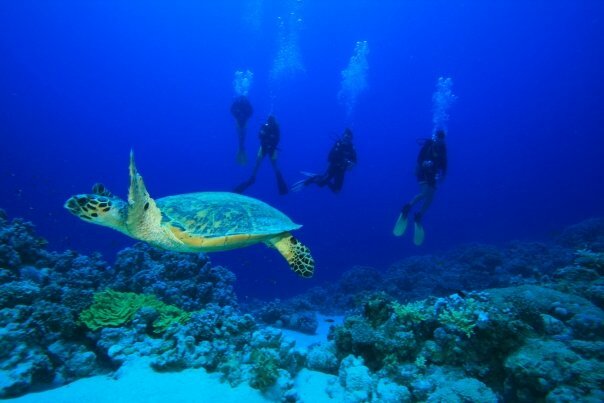 This photo was taken underwater in the Red Sea, near Dahab, Egypt. 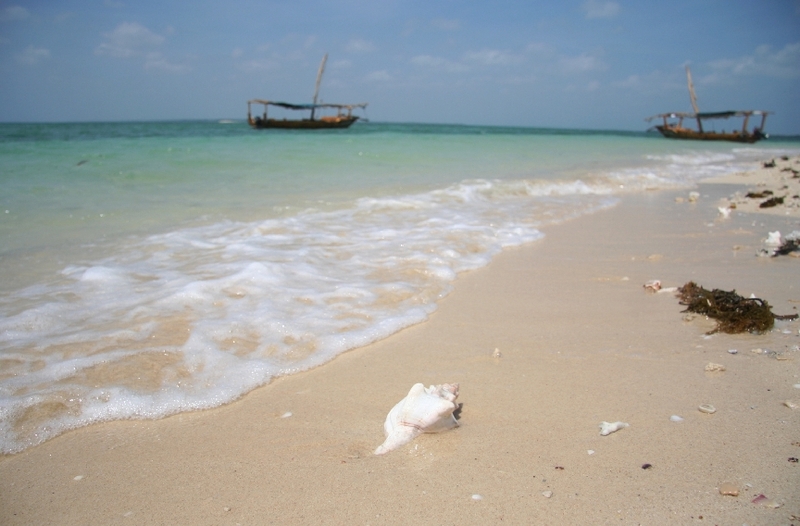 If you like scuba diving…. 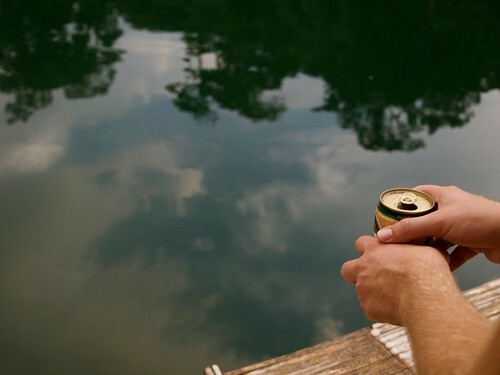 this is the place for you. 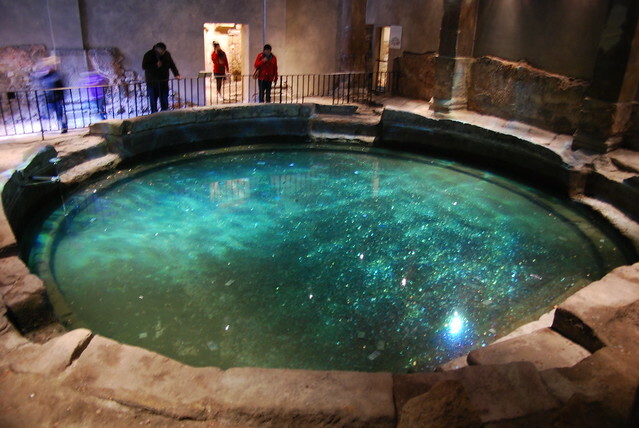 A bath from the Roman baths…. in Bath, UK. 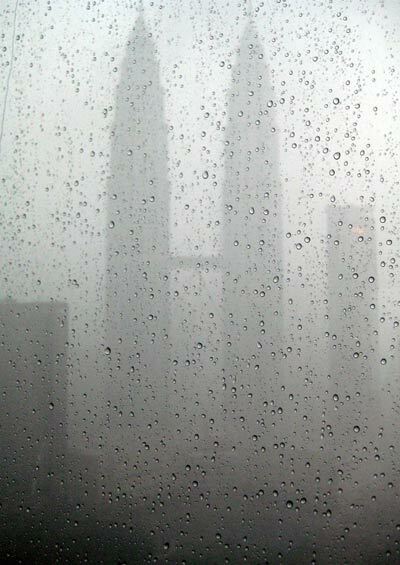 The Petronas Towers during a thunderstorm, shadowed by a dark sky and waterdrops on our hotel room window. Flooded salt pans outside of Bangkok. This shot is from a whole series of shots from a day we just had the freedom to drive through some back roads checking out the birds drawn to these pools and taking photos. 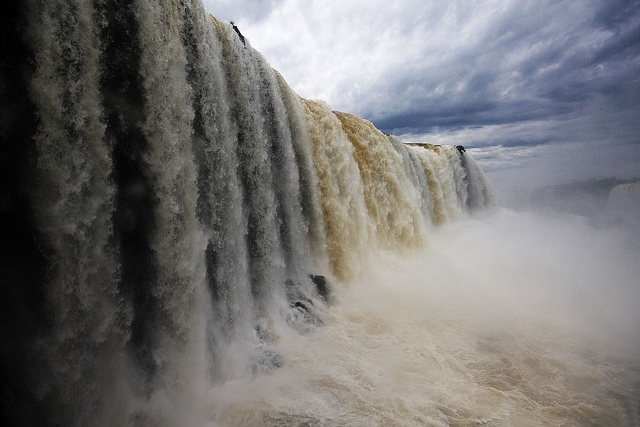 This was taken in Iguazu National Park on the Brazilian side of the border. This is a picture of the Astarna, reflected in the water of the Batang Rejang at night time. It’s a palace built by the British adventurer James Brooke after he became Rajah of Sarawak, Borneo. The tranquil waters of Lake Louise in Banff National Park – Alberta, Canada. 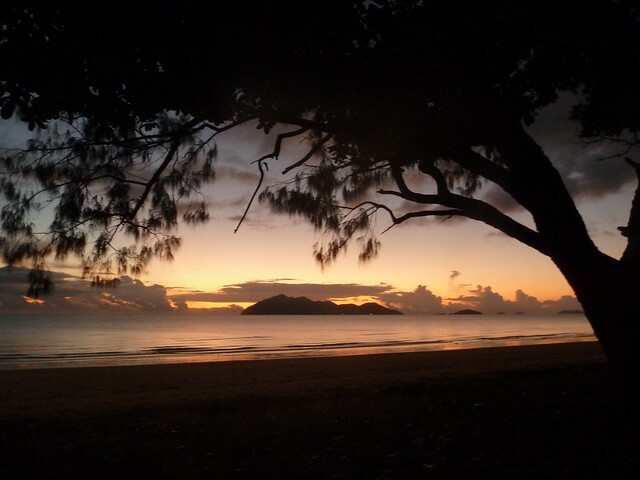 Sunrise in Mission Beach Australia. Cape Kri, Raja Ampat, Indonesia — When diving, I often get focused on the walls and reefs below me. I looked up to gauge the sun for a different shot and saw these fish schooling above me. 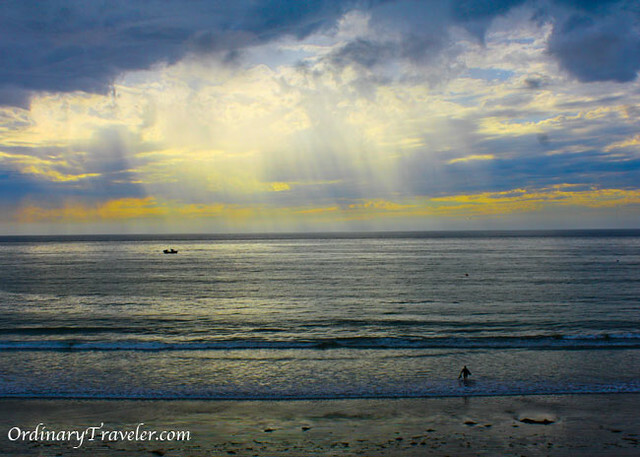 It was a great reminder that there are things happening in every direction in the ocean. This is a photo of the James Cook fountain in Canberra, taken from ‘over the hill’, an angle you don’t often see it from. As you can see, there was a fair breeze that day! 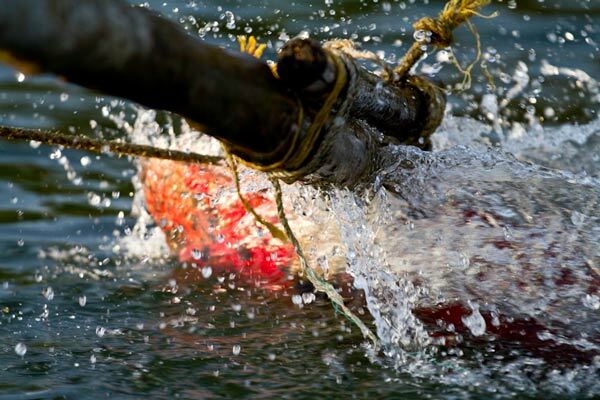 A child scoops water from inside the boat on Cambodia’s Tonle Sap. 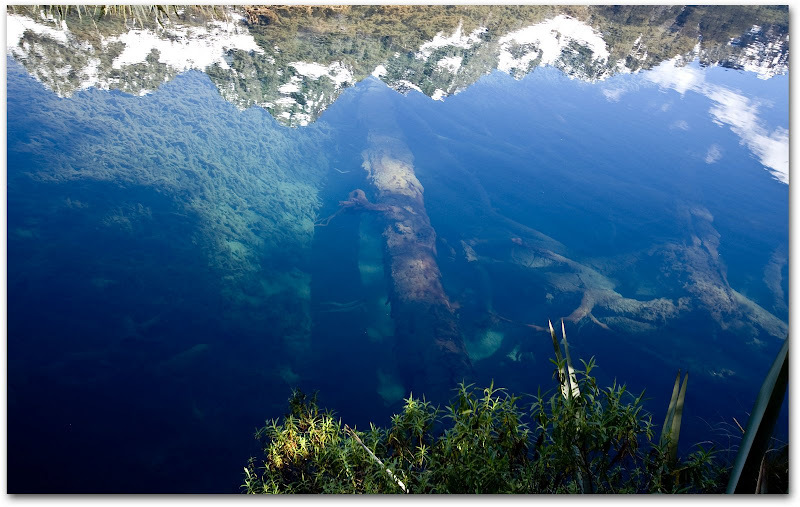 The waters at Milford Sound were still and clear, reflecting the sky, the clouds, and the mountains, as if the lake was a mirror on the world. 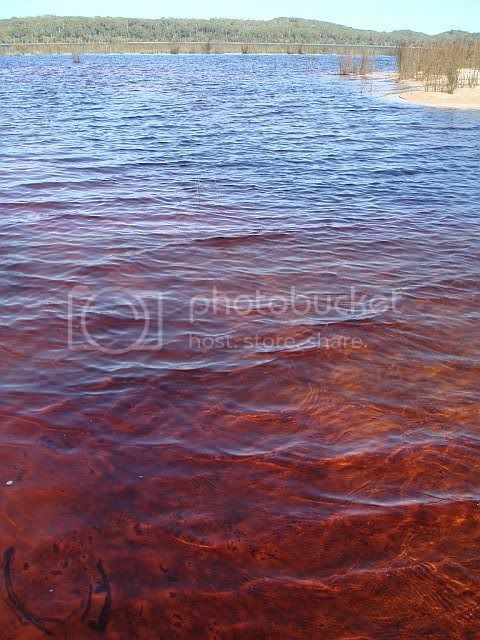 Lake Boomanjin, Fraser Island, QLD, Australia – AKA: The Red Lake. Taking a much deserved rest on the back of our floating raft house after some cave trekking in Khao Sok National Park, Thailand. A lake in Western Australia at sunset. I went Tidal Bore rafting with Candice Walsh a few months ago and made a video of our trip. 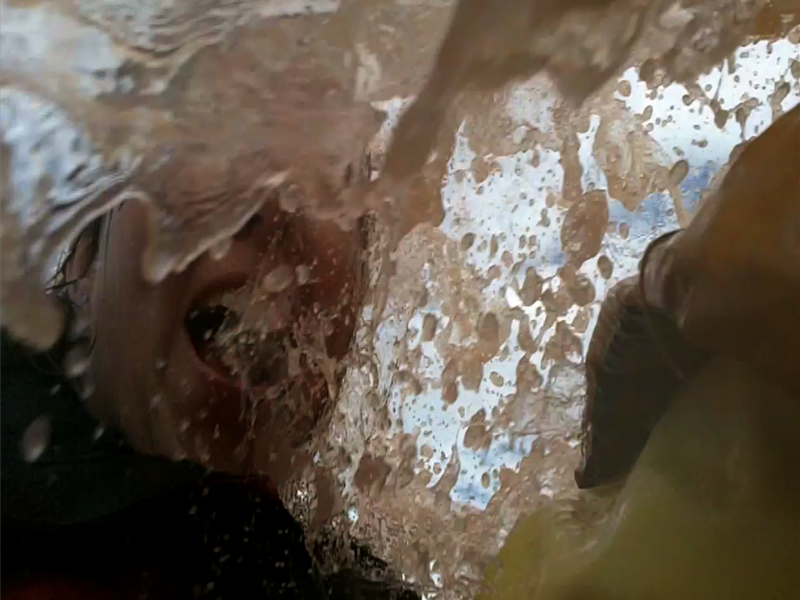 This is a screen shot of me right before I swallow half of the Bay of Fundy in Nova Scotia. Post storm surf session in San Diego, CA. You won’t run across an empty lineup very often in Southern California. Perfectly still water covers the ground of Istanbul’s Basilica Cistern. Long ago in wet times, this water reached the ceiling, sustaining the city against drought or siege. 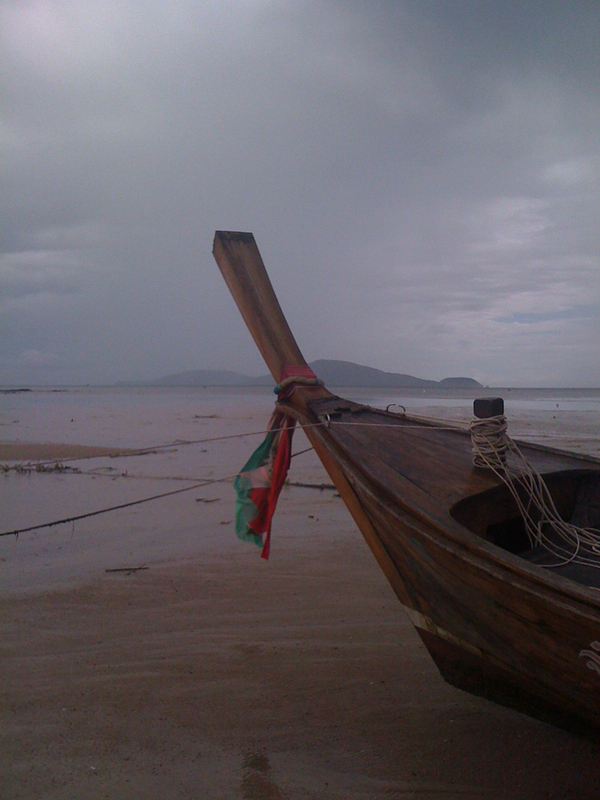 Where I stood to take this photo would have been under 4 meters of water. Floating down one of Venice’s hundreds of canals. Before getting in, I asked the mustached gondolier how much a ride would cost, he replied “8 euros.” Fair enough I thought, until the ride was over and I handed him a 10 spot. His smile turned into a snarl at the sight of the single bill and he began yelling “8″ again and again. It was then that I realized his thick Italian accent was turning “80″ into “8.” Ouch! Wow, so many stunning entries!! Guess it won’t be an easy decision for you, Wes ;-) My favorites are Ken’s shot and the underwater picture with the divers by Michael Hodson. Although… Travel with a Mate’s picture is also brilliant and so is Sherry’s. Can’t wait to see which picture wins! Wow, so many great photos – it’s a bit of an honour to be included! Thanks for hosting this round. Looking forward to the next one. Here’s our submission, it’s about the importance of water. 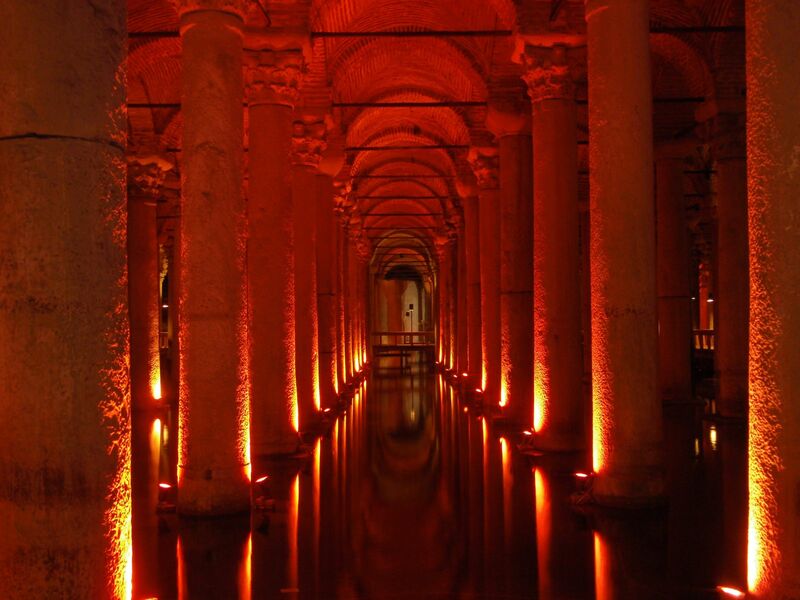 Caption: Perfectly still water covers the ground of Istanbul’s Basilica Cistern. Long ago in wet times, this water reached the ceiling, sustaining the city against drought or siege. Where I stood to take this photo would have been under 4 meters of water. Dina, I LOVE this picture! Floating down one of Venice’s hundreds of canals. Before getting in, I asked the mustached gondolier how much a ride would cost, he replied “8 euros.” Fair enough I thought, until the ride was over and I handed him a 10 spot. His smile turned into a snarl at the sight of the single bill and he began yelling “8″ again and again. It was then that I realized his thick Italian accent was turning “80″ into “8.” Ouch! Needless to say at 80 euros, the 30 minute float was the most expensive thing my girlfriend and I did in Venice. Maybe this photo was worth it? So many amazing photos here! I subscribe to what @Globetrottergirls said: it will be a hard decision to choose a winner. Here’s my photo (a windy beach in Montenegro) and good luck to all of you! The stories and descriptions are just as cool as the pictures in places, and that is saying alot with that group of pictures. Somewhere near Naxos in the Aegean sea. 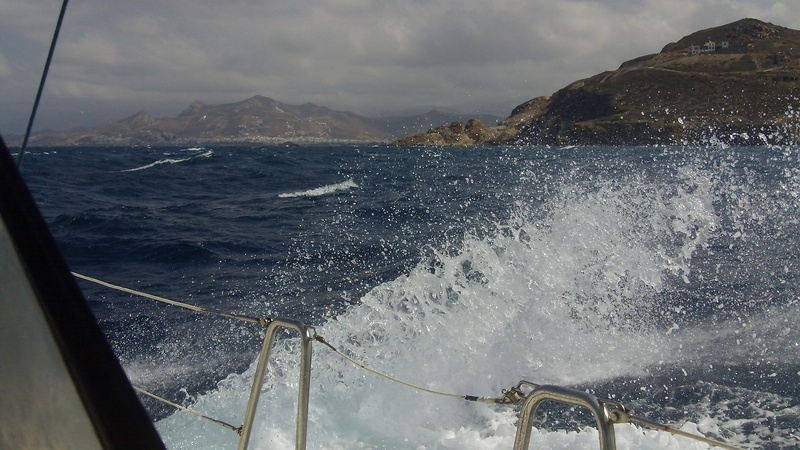 A pretty stiff wind meant that we were plowing through waves splashing up onto our boat. I was lucky enough to catch an action shot. White Sand Dunes, Mui Ne, Vietnam. Walking around the gardens at Versailles I neglected to bring an umbrella since the weather had been so nice…my mistake. Lucky for me there was a coffee booth every few feet to warm up. What an awesome idea!!! I love all the submissions so far! 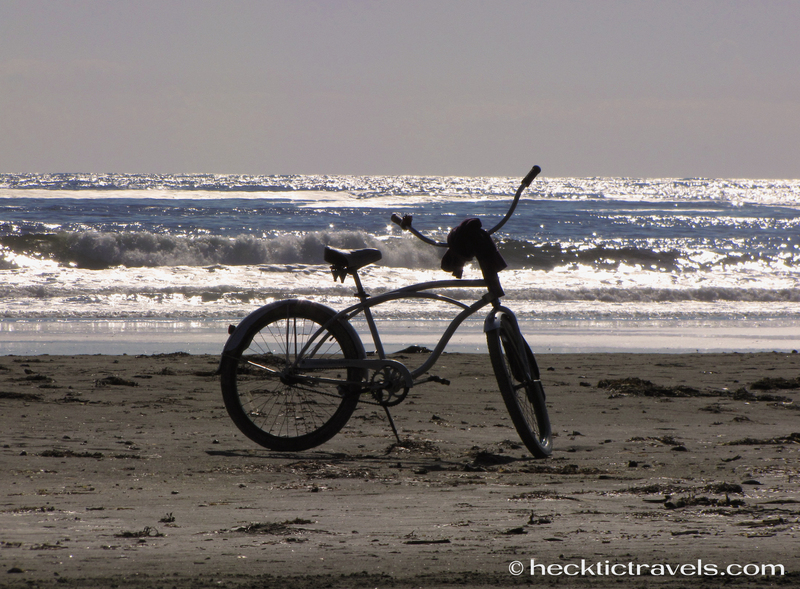 Just a casual afternoon in Tofino, British Columbia. Normal life includes riding down to the beach (surf board in arms), and riding the waves until the sun goes down. “riding the waves until the sun goes down”……………aaaaaah. Sounds divine. Despite the chaotic surroundings in the Bolivian pampas of birds, monkeys and millions of mosquitoes, the surface of the river was thoroughly peaceful and I snapped this water surface photo for a moment of tranquility. Village of Vernazza in Cinque Terre, Italy. Cinque Terre where the sun shines bright, the buildings glow and the sea seems to laugh at itself. I miss it. Thanks Wes and good luck! I can see the problems in picking just 1 as each is fantastic!!! 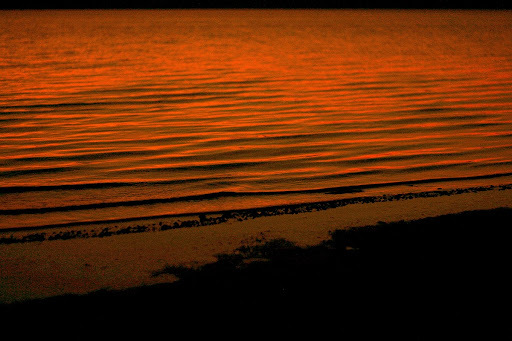 Superb photos.. ‘waters at Milford’ was a sunning one. I couldn’t take my eyes off it. 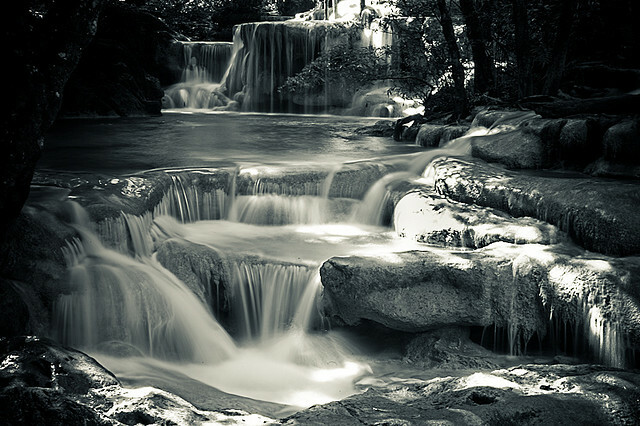 Erawan waterfalls in Thailand looks like artificial;-O How did u take such a beautiful photo? Special congratulation to those who clicked such wonderful photos and to the selectors who choose these photos.. Many thanks for the inclusion among a stunning bunch. Wow I couldn’t be a judge in this contest! This are all great pictures! CONGRATULATIONS!